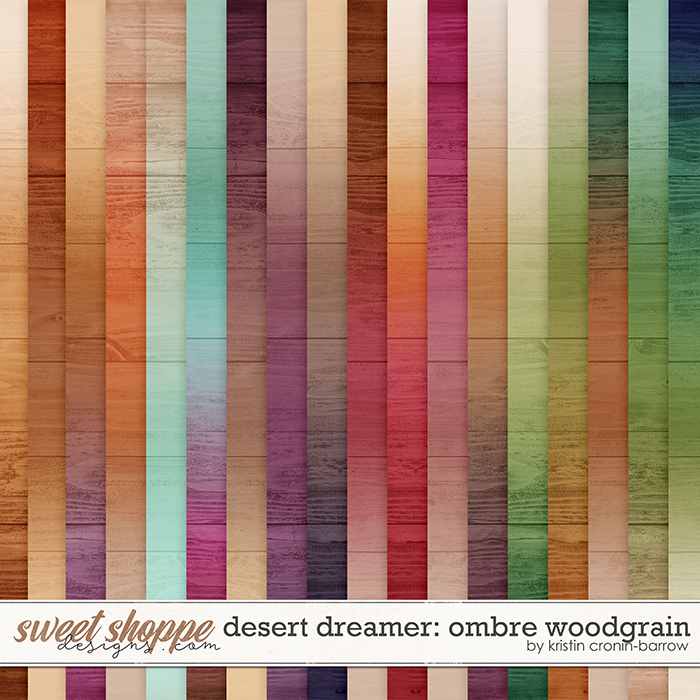 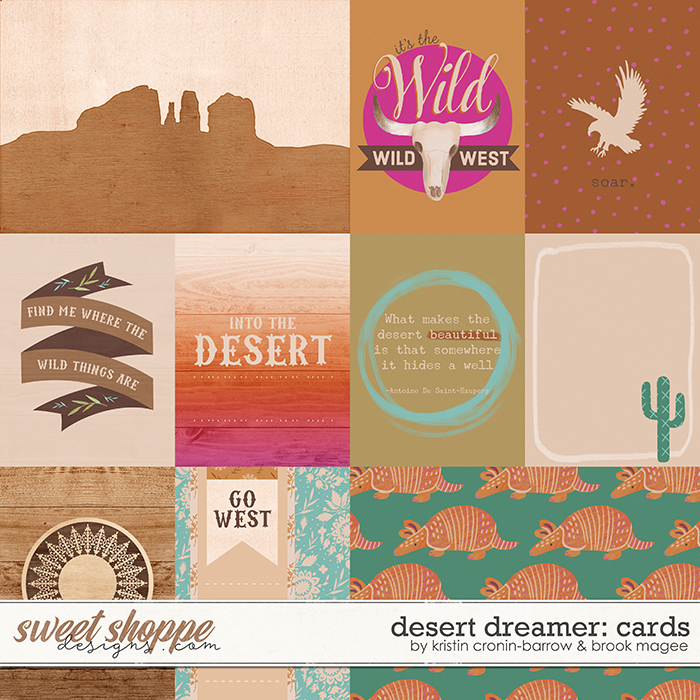 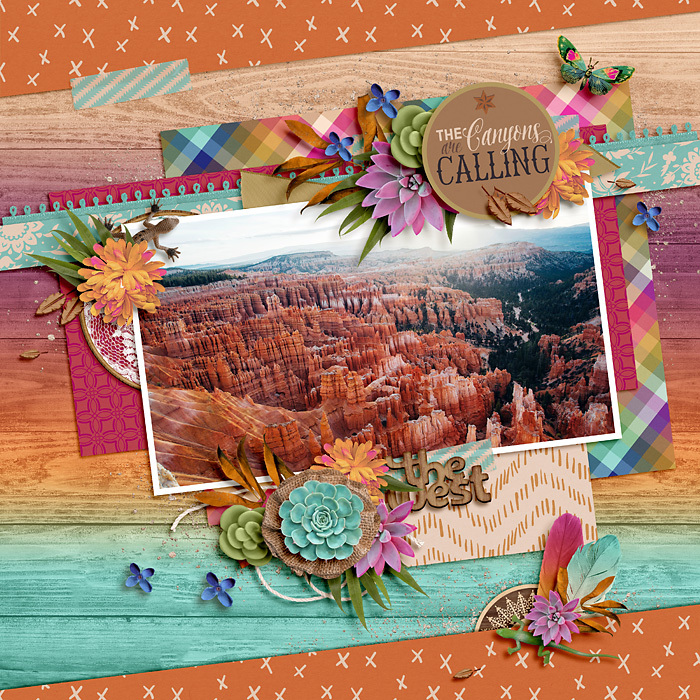 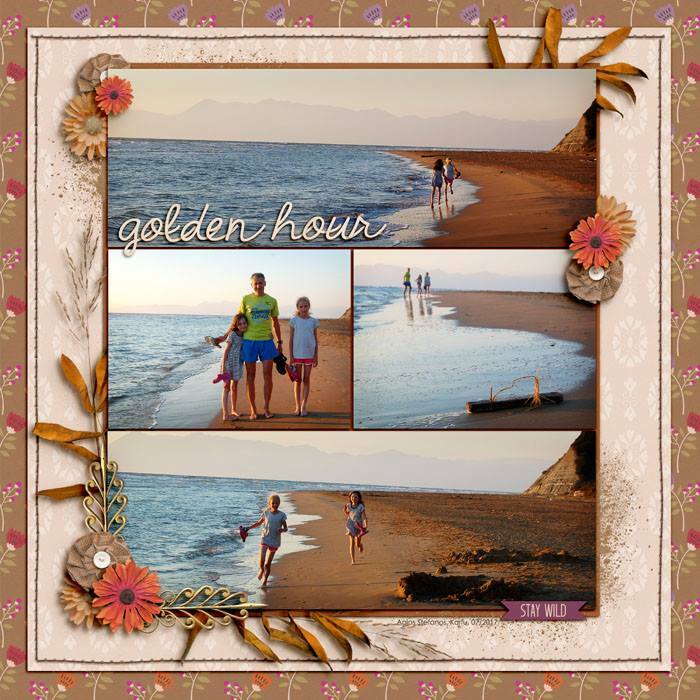 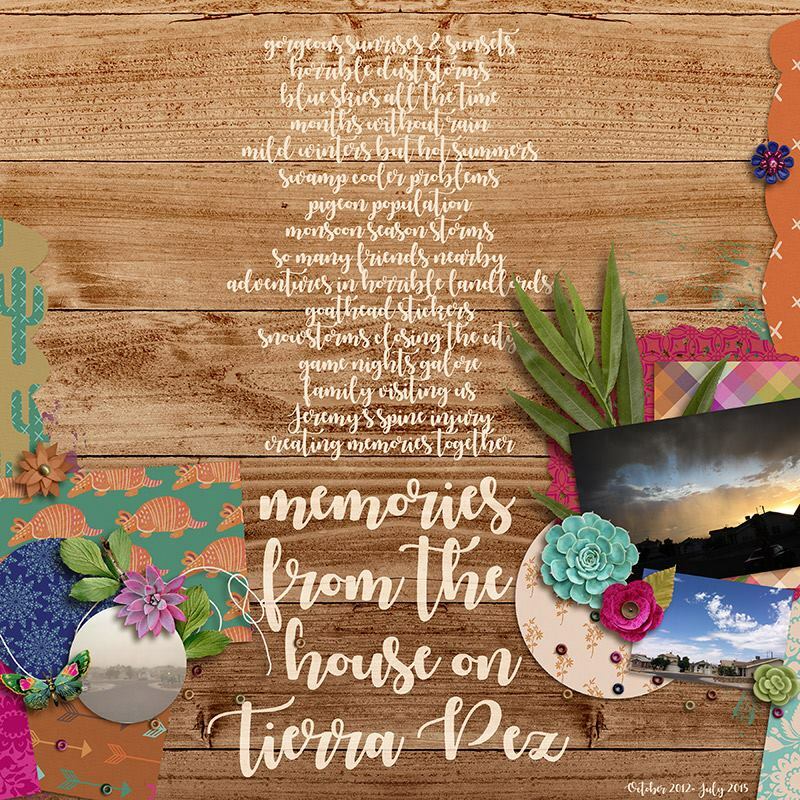 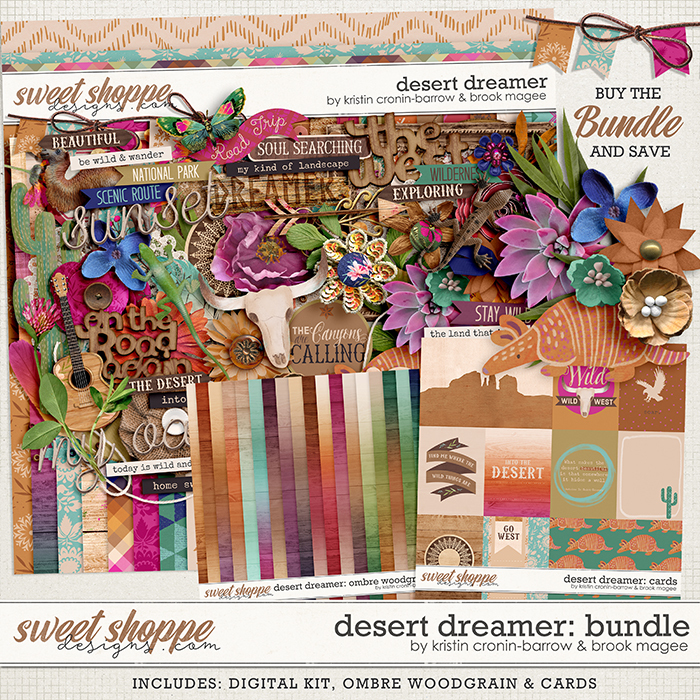 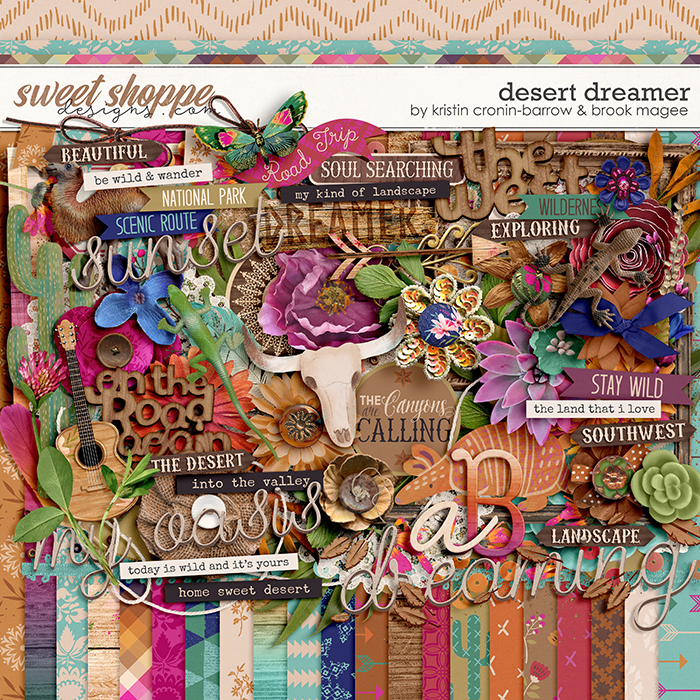 A digital scrapbooking bundle by Kristin Cronin-Barrow & Brook Magee, Desert Dreamer is a richly warm kit radiating in shades of clay, earth, vibrant oasis blues, pinks and sunset skies. 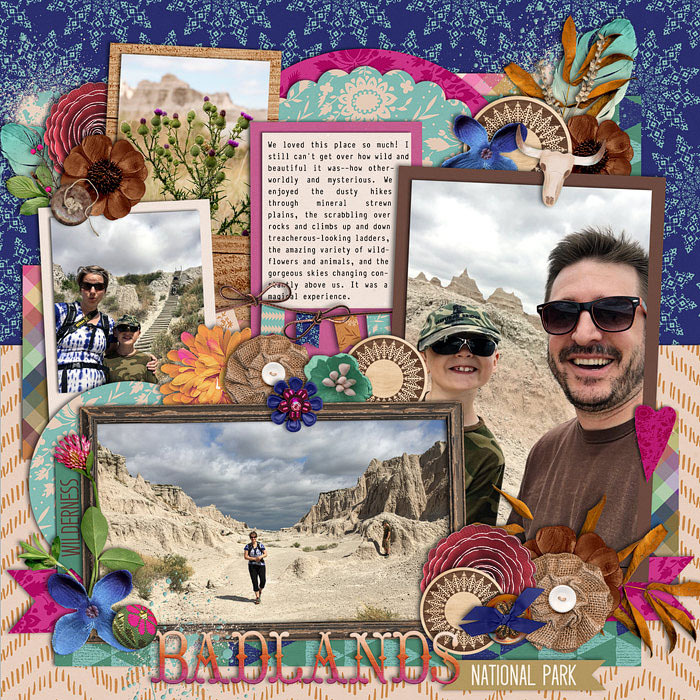 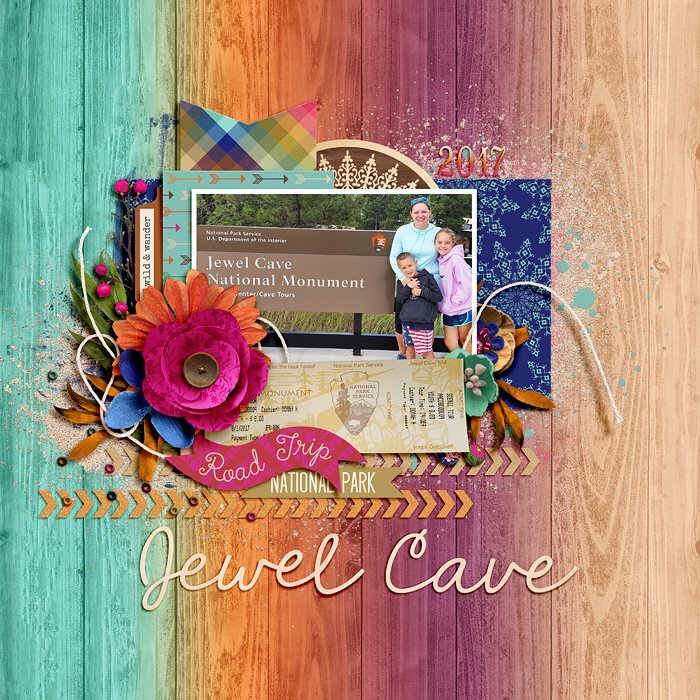 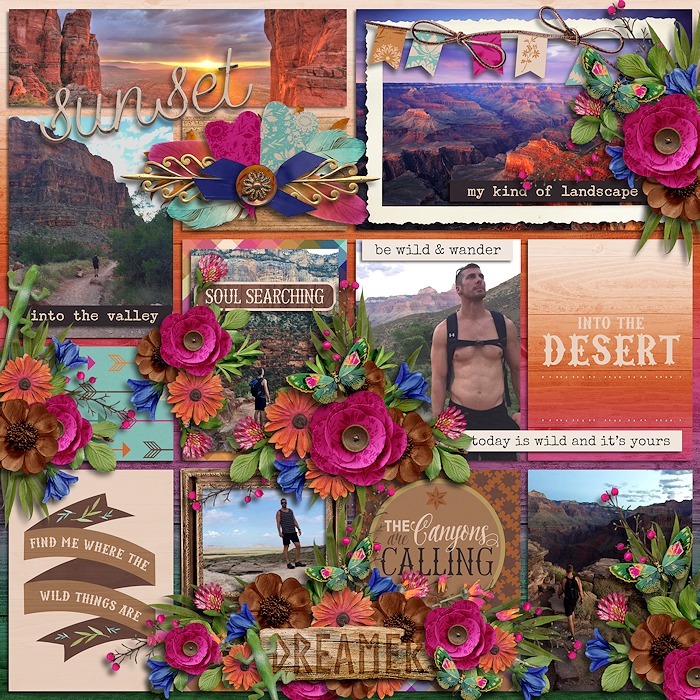 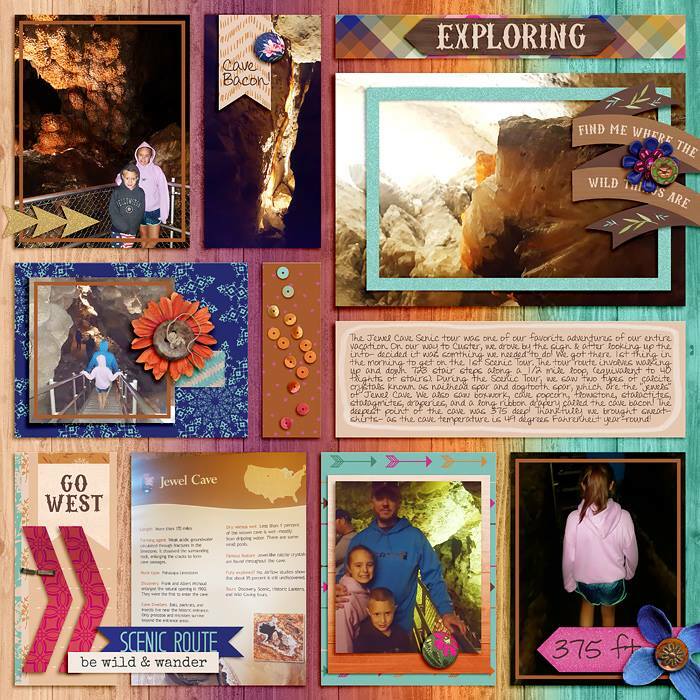 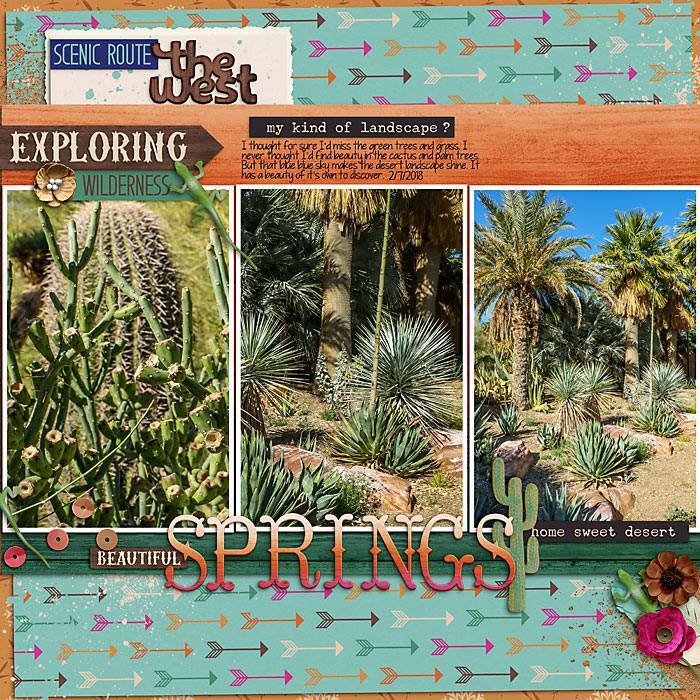 This scrapbooking kit perfectly coordinates with & compliments the previous kit "Desert Drifter" by Kristin and Brook - celebrating the beauty and wonder of the western landscape & desert with a more bohemian vibe; brighter accents of striking pink and cool blues. 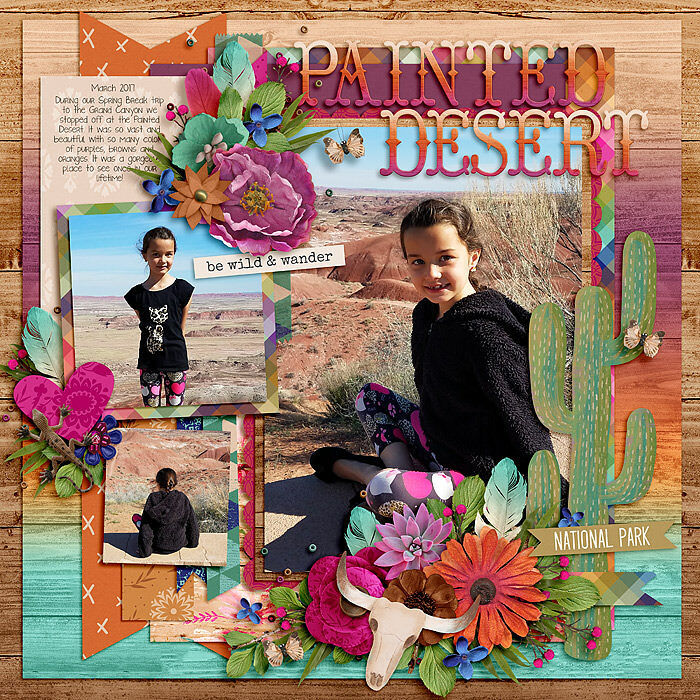 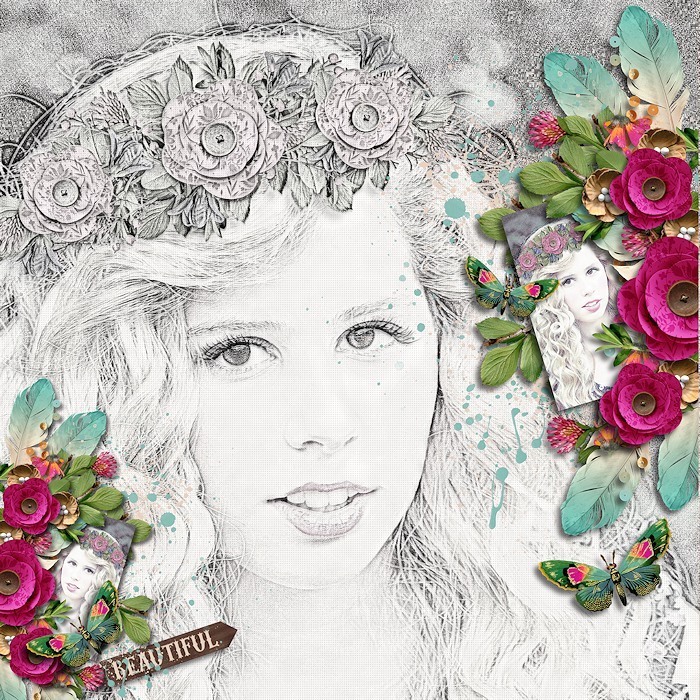 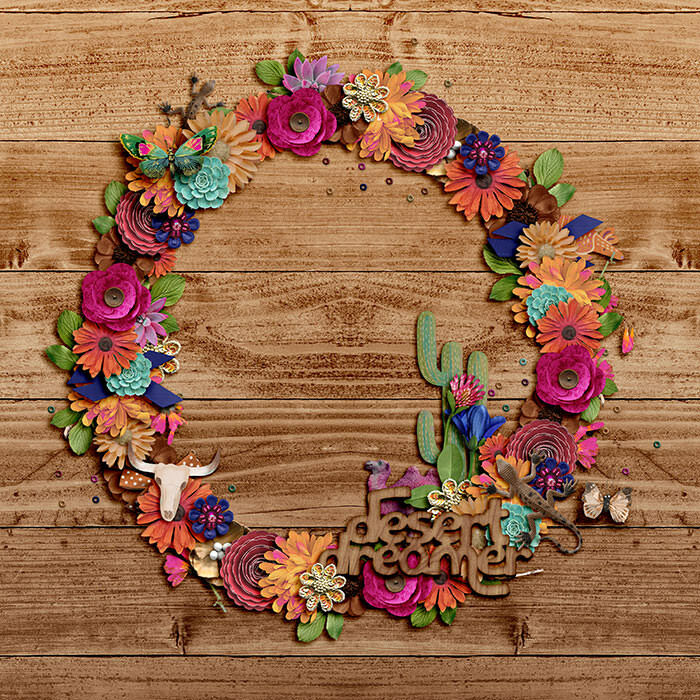 This kit awakes the senses and is packed to the brim with gorgeous flowers, foliage of all kinds, cacti and other interesting desert creatures to enhance your scrapbook pages. 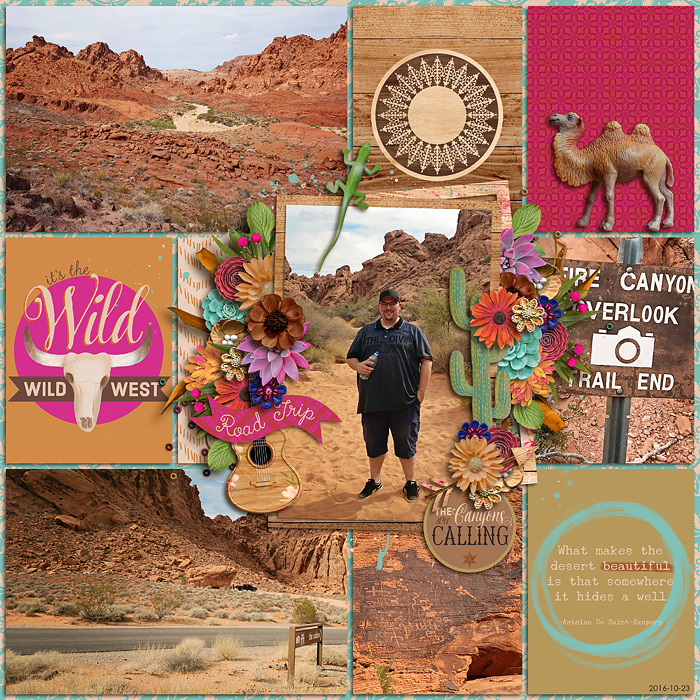 Perfect for documenting a road trip west, a visit to the Grand Canyon or other National Park out west, even a trip to the zoo to see the camels or a ride on Disney's Thunder Mountain! 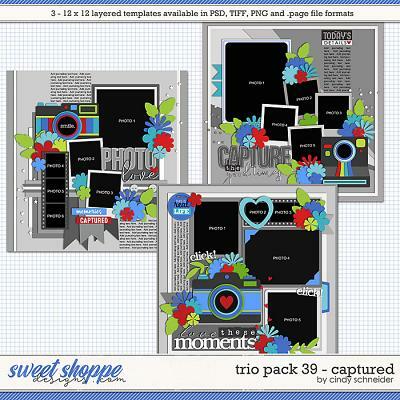 This kit is SO stunningly beautiful, you'll want to use it for everyday photos too. 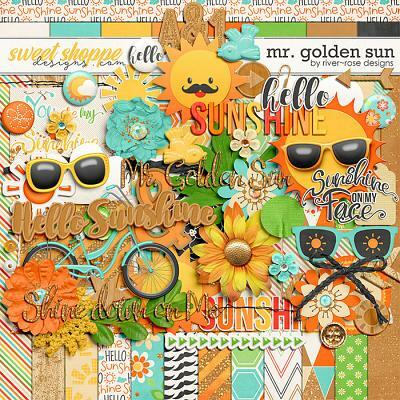 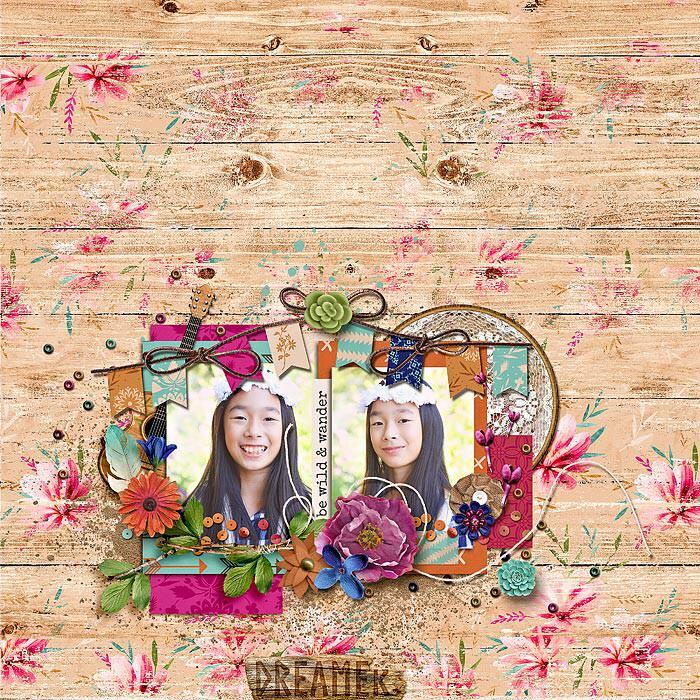 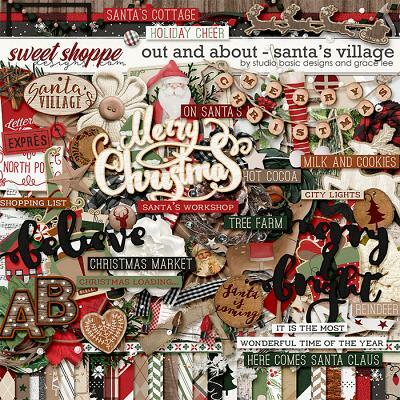 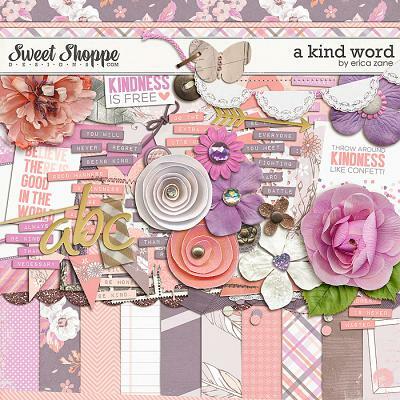 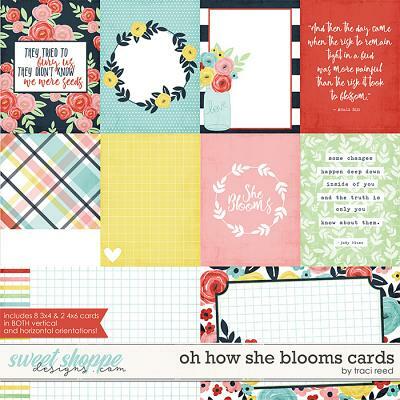 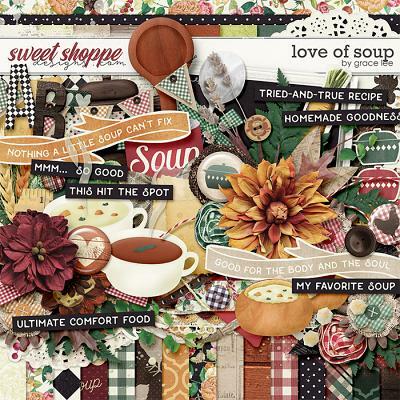 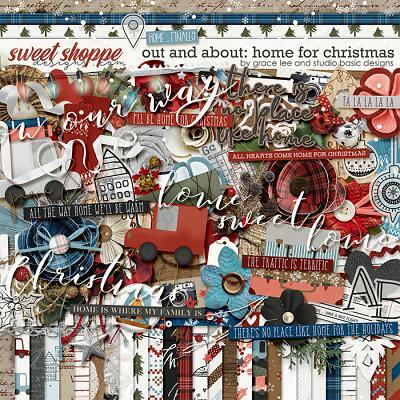 This digital scrapbooking bundle includes the amazing 10 project card pack (8 3x4 and 2 6x4 cards) and a BONUS pack of 18 fabulous ombre woodgrain papers; PLUS the full kit with 40 papers (18 coordinating solid papers and 22 patterned papers); 2 alphabets - 1 (one) lowercase white script and 1 (one) uppercase woodgrain ombre (A-Z, 0-9 and select characters) saved as individual .PNG files; and finally, a HUGE element pack including over 95 gorgeous embellishments such as: flowers, succulents, weeds & grasses, flower buds & scatters, foliage, leaves, string, word art, illustrated themed elements (cactus, armadillo, cow skull, guitar), sequins, beads, butterflies, buttons, banner, arrow, brads, feathers, fastener & tape, frames, paint, burlap rosette, title word arts, labels, lizards, a camel, sand, lace, ribbons and much much more!